A new report identifies 10 distinct shopping styles that characterize Gen-Z and Millennial consumers, and the report suggests ways that retailers and landlords can best serve those groups. 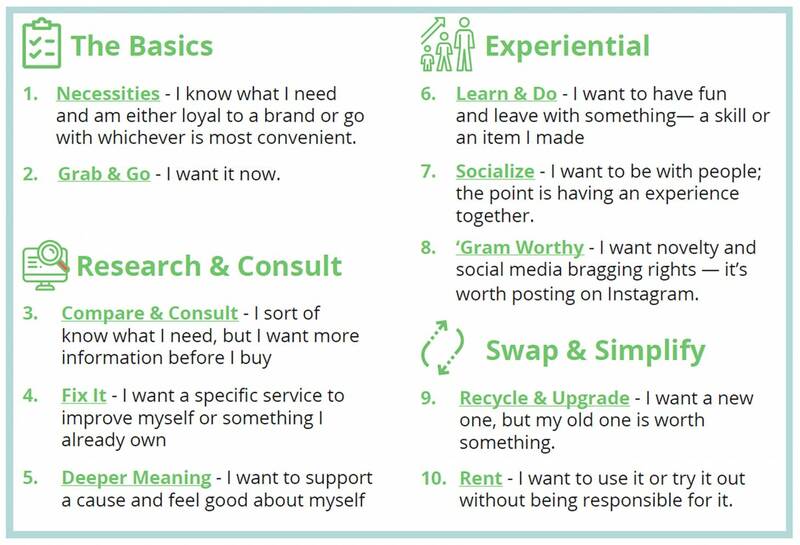 The report, produced jointly by ICSC and the Retail Industry Leaders Association, places these 10 styles into four categories: The Basics; Research & Consult; Experiential; and Swap & Simplify. Physical retailers are the ones best positioned to address each customer’s individual tastes and requirements, the report notes.